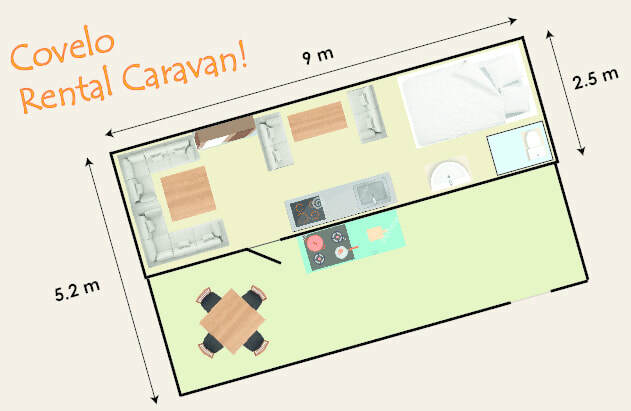 Our rental caravans are modernly and practically furnished and can host up to five persons. There is a big tent attached to the caravan with a wooden floor and a full epuipped kitchen. The hot water and the chemical toilet provide our guests all the comfort that they need. Located directly on the beautiful Lake Iseo, our guests are guaranteed to have an affordable stay in our camping.